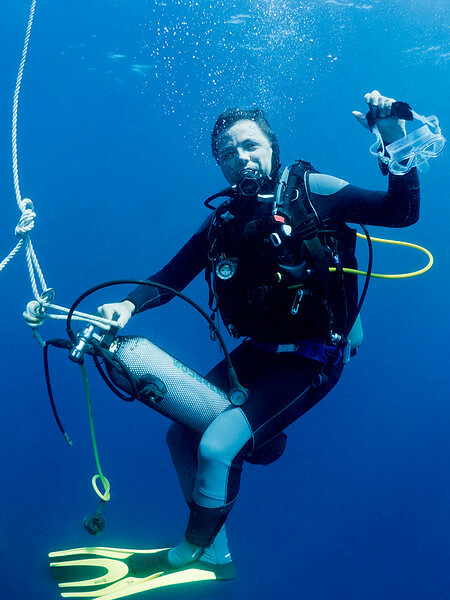 I am Manuel Cabanillas, a 3* CMAS Scuba Diver (FFESSM N4 Divemaster), 43 years old, living in Paris, France. I started diving in the 90's and have been taking underwater pictures during years with a small compact camera, a standard housing, and the internal flash. As I like to say, it was my "blue period" and, unfortunately, I was not Picasso. A few years ago, I made a trip to Lembeh (Indonesia), the paradise for tiny and wonderful critters. I was so frustrated not being able to capture the bright colors of all these incredible nudibranches, shrimps, or frogfishes that I decided to invest in some better equipment. First, I purchased from a friend of mine a second-hand DSLR camera, an housing and a strobe. After only a few dives and shots, I knew I made the right choice and rapidly decided to upgrade and complete my rig. For a few years now, mirrorless cameras and micro 4/3 lenses have been able to compete with classical DSLR. Funcionalities and quality being almost equivalent, I finally got convinced by the size and weight of such technology. Today, I am the happy owner of an Olympus OM-D E-M5 markII camera, a Nauticam housing, and two Inon Z240 strobes mounted on Nauticam arms. Should you have the same equipment or part of it, and if you're facing an issue with it or having any doubt, please do not hesitate to contact me and I will try to help you. On one hand, I am French-Spanish, originally from the South of France. When I was young, I spent most of my holidays in Spain, in the Costa Brava area. I learnt to swim, snorkel and dive in The Mediterranean Sea. On the other hand, I am married to a Honduran marine biologist, also a diver, and we love to come back as often as possible to the island of Roatan where we met. The Mediterranean and the Caribbean are therefore my playgrounds ... but I find Asia and Oceania fascinating and I am dreaming of my next great trip there.